Bea was born and raised in Honolulu Hawaii where she graduated from Mililani High School. After graduating, she traveled a few years in Europe and the U.S. prior to settling down in Las Vegas. 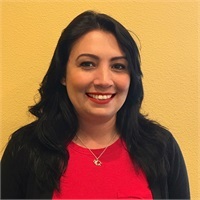 She joined Danielson Financial Group in May of 2018 as Client Services Manager. Bea has over 12 years in administration, customer service, and analytical experience. With her diverse customer service and administrative experience we’re happy to have her part of our team. She will be assisting Michael D.J. Carpenter with social media and customer service based developments. In her free time she enjoys live music, traveling, sports “Go Dodgers”, and spending quality time with her family. She has two amazing sons, Xavier and Liam and a Yorkie fur-son named Bentley whom she shares with her boyfriend Angel.